Presenting the project to the participants. 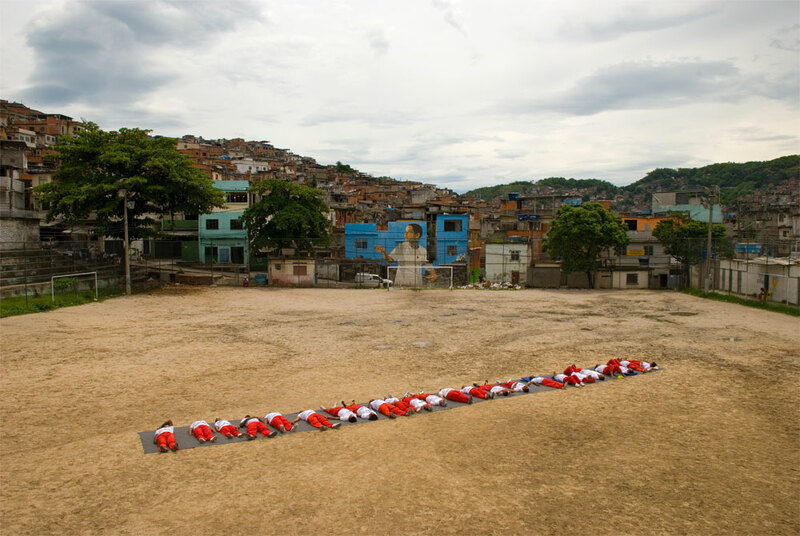 Employees of the Espaço IBISS run by the Ibiss organisation looked at the sky in silence on the local soccer field of the Favela. The participants are inhabitants of the Favela Vila Cruzeiro, which is a poor and very violent area in the city. The community center provides healthcare, social, culture and sports activities. Thanks to: Nanko van Buuren, www.ibiss.info, Juciara O. da Cruz, Mara Pereira.